Fine old ink signature, “Benj. Harrison,” on an off-white card matted with old large engraving. 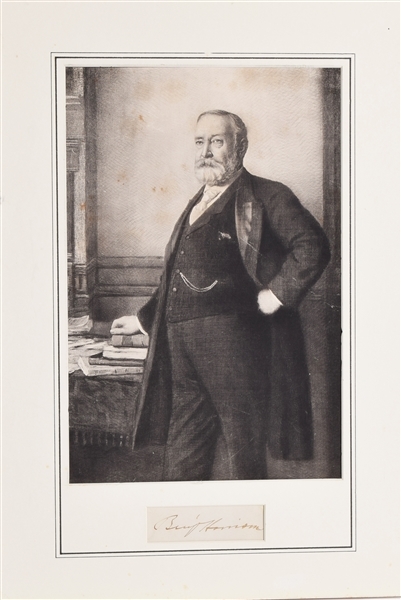 Benjamin Harrison (August 20, 1833 – March 13, 1901) was an American politician and lawyer who served as the 23rd president of the United States from 1889 to 1893.